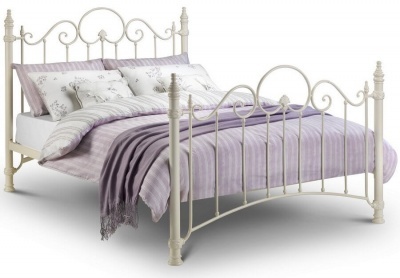 Graceful bedstead with ornate detailing. 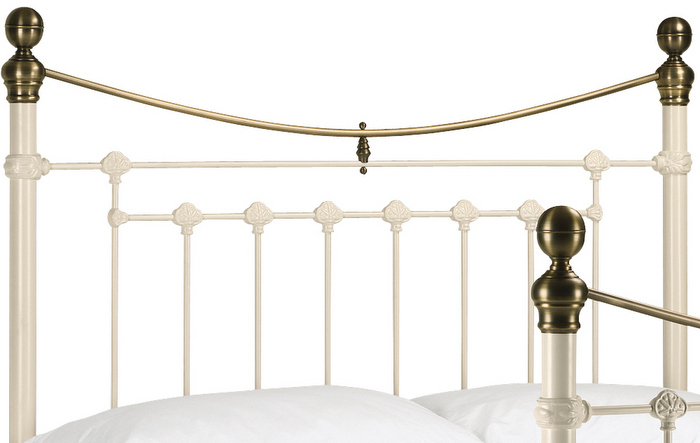 The brass embellishments leave a lasting impression. 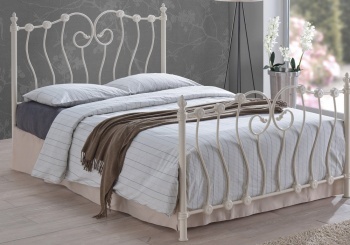 Beautiful design inspired by the Victorian era that will be a pleasure to own for a long time. 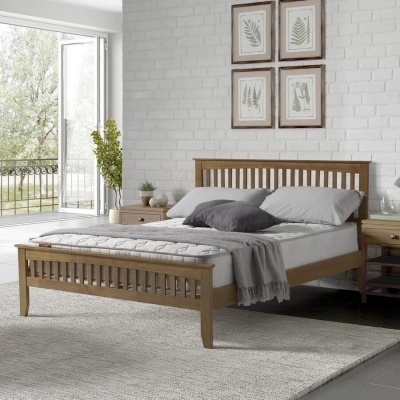 Extra comfort from the sprung slatted mattress base. Flat packed for easy home assembly full instructions included. No extra tools required. 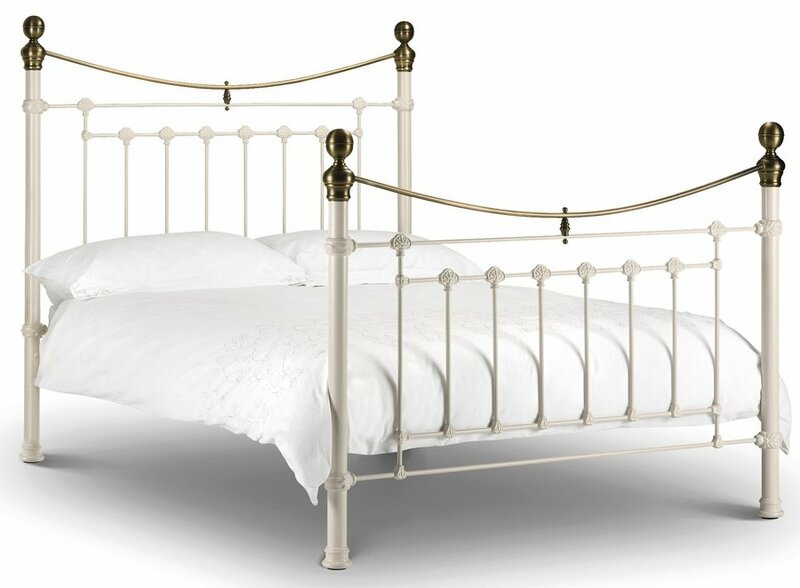 No need to struggle, the Victoria stone white bed frame is delivered by a two man team to a room of your choice. 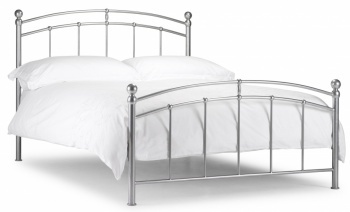 Delivered in two boxes to a room of your choice. 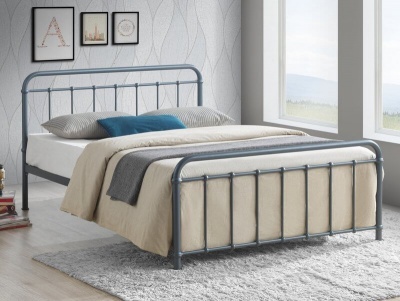 Part of our selection of metal bed frames.